Read through the style guides below. One or more of these will instinctively feel right for you – summing up how you feel about your garden (or the garden you are planning to create). Once you have chosen the type of garden-personality that suits you, you can select features, accessories and materials to complement your chosen style. A riot of colour and form. Flowering shrubs, perennials and self-seeding annuals jostle together to create a charming, informal profusion of planting. 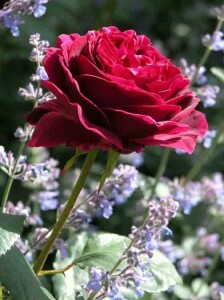 Traditional cottage gardens would mingle vegetables and flowers together and you may like to include some crops, especially herbs, amongst the flowers. Accessorise: Include winding paths and rustic arches or pergolas to complete the effect. Weathered or reclaimed materials are particularly effective. Soft pastel shades, highlighted with splashes of more intense colour, to create a more relaxing feel. 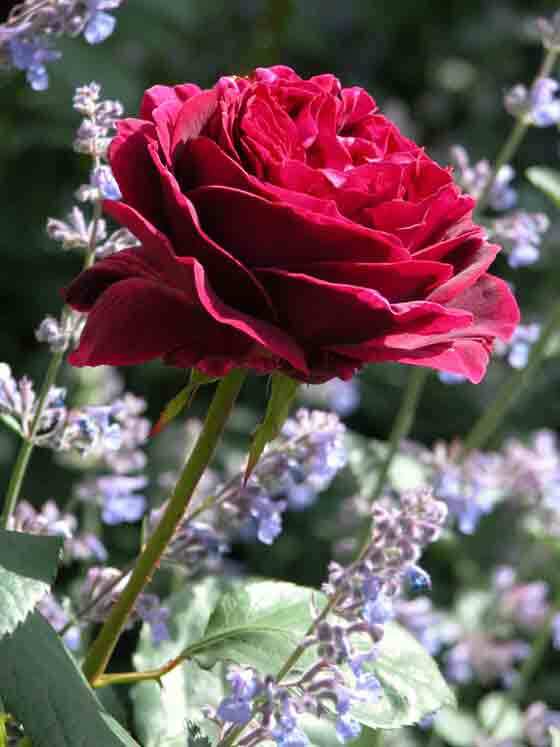 Flowering shrubs and scented perennials are combined in enchanting, billowing drifts. Accessorise: Use arches, pergolas, sculptures or sundials in your design. Meandering paths and benches set amongst the foliage and flowers are a must. A cool, stylish effect, often used in town and city gardens where space is restricted. 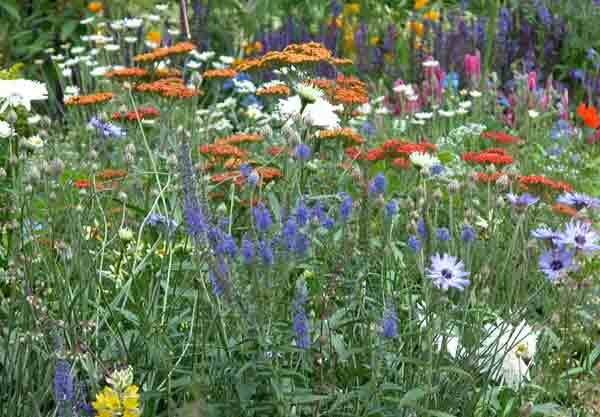 Planting is minimalist, using repeated forms and bold colour. Drama is added with clumps of architectural plants. Accessorise: Make use of modern materials, such as metal and glass, for garden ornaments and sculptures. For a sophisticated look, plant up a row of matching containers with specimen plants. Pebbles, coloured gravel or paving slabs provide interesting texture. 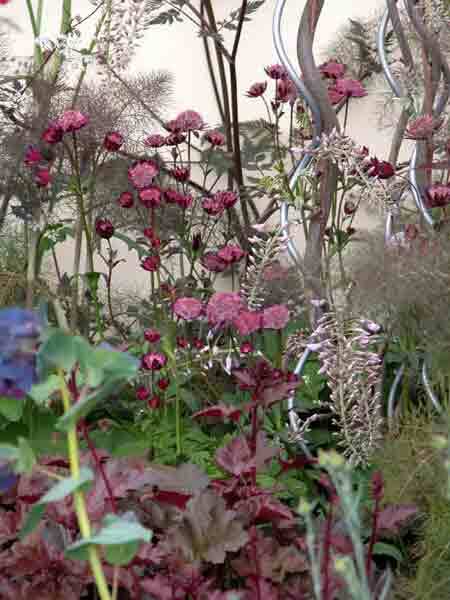 Contemporary planting tends to have fewer plant specimens, spaced to allow each plant room to display its character. Mulch with gravel to enhance this display. 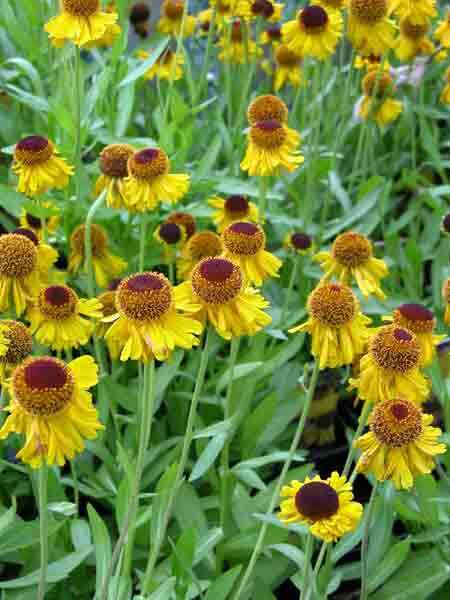 Since these areas are often enclosed, they may provide a sheltered environment for a border of more exotic planting. Scented flowers work well here, along with climbers for vertical interest. These are often fairly formal gardens, with paved areas and container planting. Accessorise: Larger gardens could incorporate arches and pergolas, but even small courtyards would benefit from a seating area and pots of fragrant flowers. Paving slabs or cobbles are good for hard landscaping. White-painted walls will help lift dark shady areas. 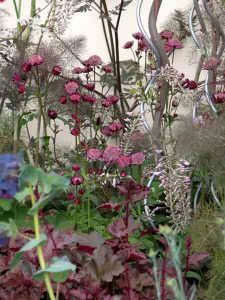 Drifts of low-maintenance ornamental grasses and herbaceous perennials create a swathe of relaxing, naturalistic planting. This style takes its influence from the great North American prairies and creates movement and informality, as well as late season interest. Accessorise: Looks good in large areas but a small border planted in this style can also be effective. Use paths of gravel or pebbles to emphasise the natural look. Allow the plants to self-seed to reinforce its naturalistic style. 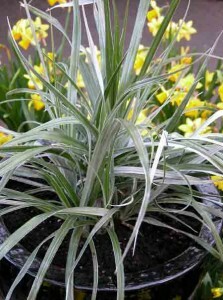 Bright flowers, spiky foliage, aromatic herbs and silvery evergreens are typically found in Mediterranean-style gardens. 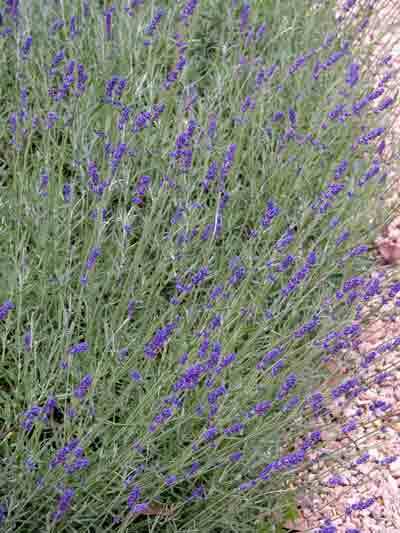 Many drought-tolerant plants come from Mediterranean regions, so if you have a dry, sheltered garden, this might be a good choice for you. 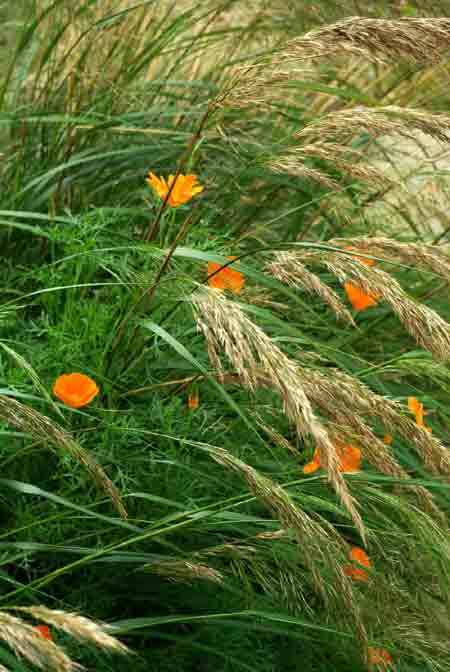 If the climate or conditions in your garden are less than perfect, you might still be able to create a Mediterranean-effect with more tolerant plants. Remember that less hardy plants, such as sun-loving citrus and olive trees, can be grown in containers which are overwintered in sheltered areas. Accessorise: Mediterranean planting is influenced by the character of warm climates. Plants are positioned to allow each plant air-room and to display its character. Mulch with gravel to conserve moisture. Gravel, small pebbles and glazed tiles enhance Mediterranean style planting. White, blues and terracotta are particularly effective for painted walls and containers. Pots of succulents and a cooling water feature look good too. Don’t forget an area for al fresco dining on balmy evenings and an arbour or pergola to shelter from the heat of the day! 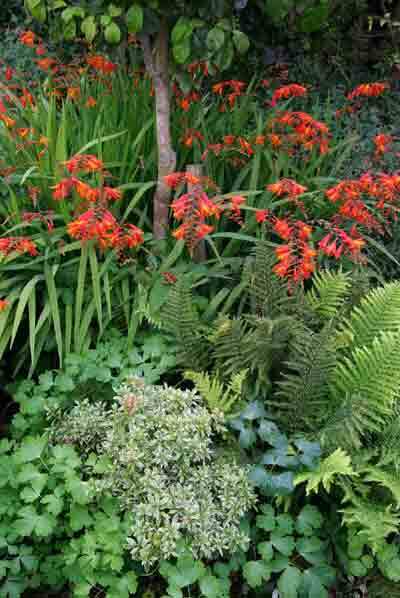 A small border around a single tree can be planted up in the Woodland style. The subtle planting schemes of foliage plants and soft hues of many native woodlanders create an aura of peace and tranquillity. 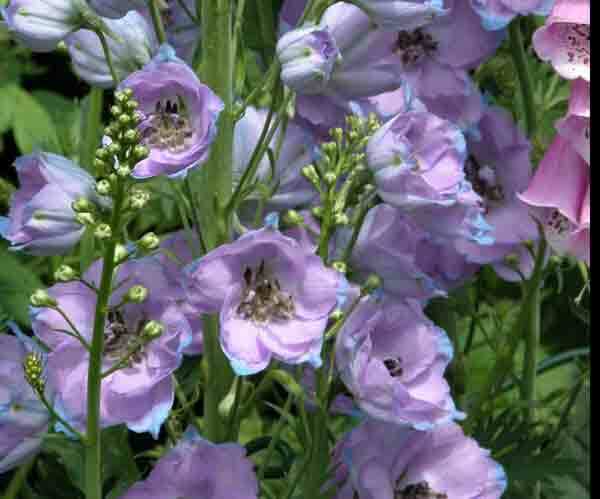 Shade-loving plants enjoy the cool, sun-dappled conditions of wooded areas. Spring flowering bulbs are a particular focus beneath deciduous trees before they leaf up and cast deeper shade. 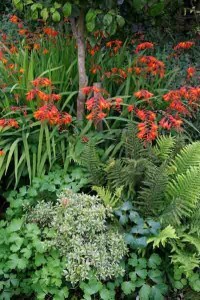 Even a small garden border around a single tree or large shrub can be planted up in this style. Woodland style planting is also suitable for flower beds shaded by walls or neighbouring buildings. Accessorise: Sinuous bark or stepping stone paths can wind through larger woodland areas. Rustic benches and bridges look charming, but contemporary sculptures and seating can also sit well with your design. An informal area, perhaps further away from the house, which uses trees and shrubs, under planted with swathes of annuals and perennials. 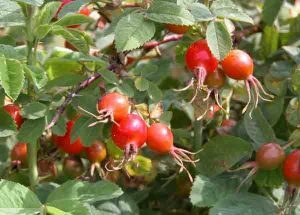 Nothing is too regimented here, so flowers are allowed to self-seed and wildlife is encouraged in by the scented flowers, seedheads and berries. Accessorise: Materials such as bark and railway sleepers help create a natural look. Allow paths to meander where they will – bark chippings make a good surface. You will want to avoid straight edges and geometric shapes in a wild garden, but a natural-looking pond, boggy area or small woodland all create a sense of going back to nature. 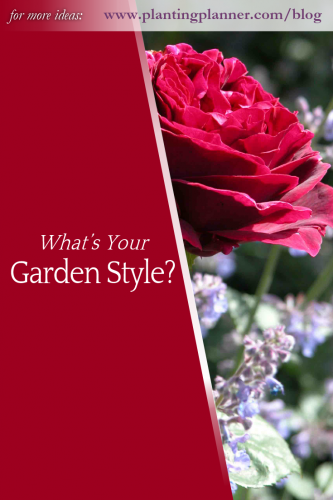 Decided on your garden style? Need a Planting Plan? Now use the Weatherstaff PlantingPlanner to generate a stunning, tailor-made planting plan for your garden in your chosen style. 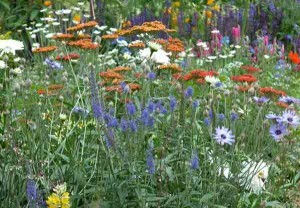 Enter details of your border’s growing conditions, then select a garden style and colour scheme. The Weatherstaff PlantingPlanner will create a planting plan just for you in minutes.